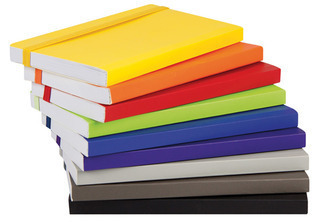 Cardboard cover notebook, 80gsm white paper, 100 sheets, with plastic pen inserted into pages. With a 2012/2013 calendar bookmark. Elasticated closure.